See the best way to your favourite destinations by public transport. 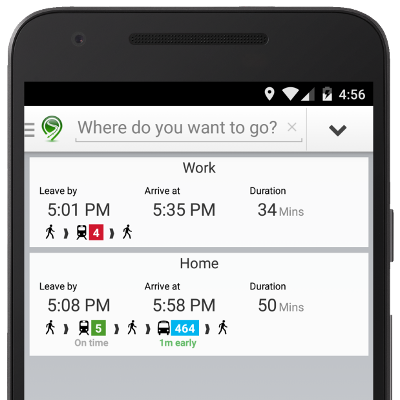 Quickly tell when you need to leave, and when you'll get there. Download for free. Available in Sydney and regional NSW. Or register your interest in our upcoming iPhone release. 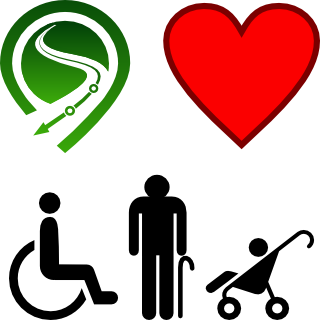 Activate Metarove's "Mobility Impaired" option, and we'll limit your directions to accessible services and paths. If you have any feedback about our mobility impaired directions, or would like to request a feature to help us meet your needs, please contact us. Metarove is only publicly available on Android in Sydney and regional NSW. But we're working hard to bring Metarove to more cities around Australia. If you'd like to help us test Metarove in your area, drop us an email and we'll let you know when it's available.